There is never a better time to make positive changes in your career than at the start of a New Year! Starting off in January with a fresh mind-set and new goals to achieve will ensure a year full of professional success and personal development. Who better to suggest the best resolutions to progress your career than Luxury Events and World Class Manager, Dan Dove? I have been working in the hospitality industry for 14 years, originally starting my bartending journey in Spain where I worked in a cocktail bar before being promoted to head bartender. I later returned to London as a training manager for a group of Asian restaurants and cocktail bars before eventually creating my own luxury bar events company. After 5 years managing and designing events for various drinks brands, I decided I wanted to work for a large drinks company. Nowadays, the majority of my time is spent building and developing the Diageo World Class programme. There has never been a more exciting time to be part of the drinks industry, with so many career opportunities that you can work towards. Whether you’re aiming to be a top bartender, a brand ambassador or an on-trade consultant, now is the time to start thinking of your long-term goals and what skills you need to develop in order to get there. 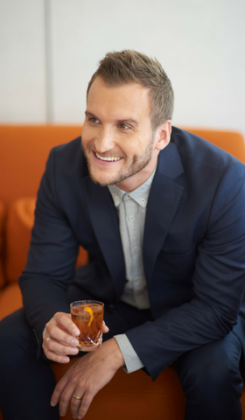 In bartending, as with any career, it’s crucial to always stay on your toes and be open to learning new things, whether it’s mastering a tricky technique orimproving your customer service skills. There are lots of online resources out there to help, such as the DBA e-learning course. Think about your skillset and assess where you think you can improve. The DBA online course matcher can help you find a course that’s right for you. You can also improve your skills on the job – why not ask people in your team if they can show you the secrets behind their signature cocktails or give you any service tips and vice versa? Ensure you gain a wider knowledge of the industry. Try to develop managerial skills and learn more about the business aspect of running a bar. Whether it is learning more about profitable cocktail menus or how to manage a team effectively, these skills will benefit your career in the long run and make you a better professional. It is also a good idea to start building up your knowledge outside of your venue, for example by working on and managing events, writing blogs or articles for publications, or even consulting for other bars. Not only will this help give you a broader idea of what is happening in the industry, but it will also help you network and build up that all-important contact list. For more tips, check out our ‘Business of Bars’ page. Nowadays, bartenders have more opportunities to travel than ever before and experience how bars in other countries operate. When I travel, I immerse myself in a country’s culture, food, drink, social mannerisms and technology – this is what inspires me to think outside the box. If you can’t physically travel as much as you want, you can always keep up with trends and developments abroad by exploring what is happening online. Read articles and follow influential bartenders and industry leaders from around the world on social media, to ensure you keep-up-to date with what is going on. Promote yourself the same way you would promote your brands or your venue. I always tell the team that they are never off-shift. This can be quite a daunting prospect, but the truth of the matter is that with modern technology and social media, your career could skyrocket or plummet in a split second. Carry yourself well at any events you attend and start to think about building yourself as a brand. Ensure your social media platforms represent you in a professional and interesting way. For example, you could post a photo of your latest creative serve, or post a link on Twitter and Facebook to a blog post you have recently written. Click here for further tips on how to promote your venue online. Missed opportunities could be selling your bar (and yourself) short! A tight-knit, happy and efficient team makes for a better bar and an easier shift! 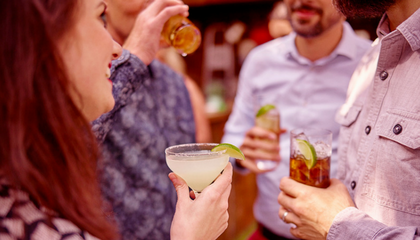 Rob Poulter reveals his top tips for creating the best experience for both bar staff and customers. Find out how you can break into the industry with these top tips from Dan Dove. Join in the conversation and Tweet us, share your photos on Instagram or post on our Facebook page. We’d love to hear from you! 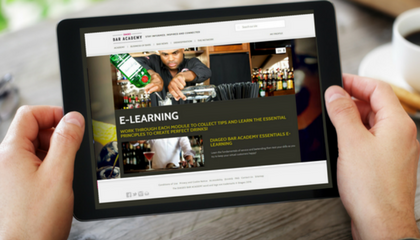 Sign up and become a member of Diageo Bar Academy today and opt-in to receive our monthly newsletter to unlock the latest industry news, trends and tips to keep your bar knowledge up to speed!